How can I tell if an employee was late, early or missed their shift? 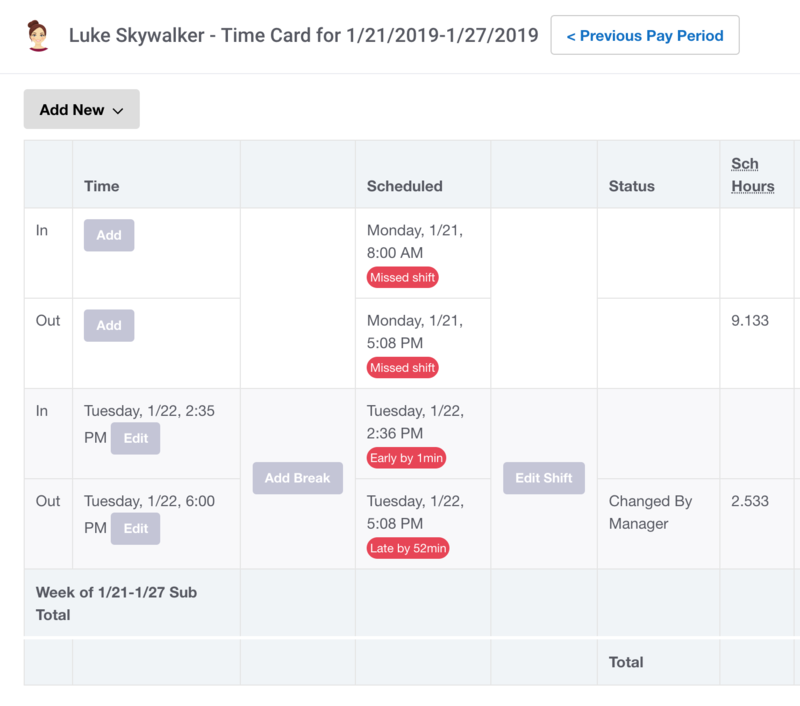 Easily view whether an employee was late, early or missed their shift by viewing their time card. If you need to double check to see if an employee was late, early or missed their shift altogether, you can check their time card. You will be able to see their scheduled shift time along with their actual punch time and by how many minutes/hours they were late or early.